4 BR, 3 bath home in need of finishing touches is priced to sell! Situated on almost an acre, the home is in walking distance to Perkasie Park, with gorgeous views. Open concept living room and dining area has custom concrete floor, ceiling with skylight, wood burning stove, wall of windows, updated kitchen, and entrance to the side deck. Completing the floor are a full bath and bedroom or office, and light-filled family room. 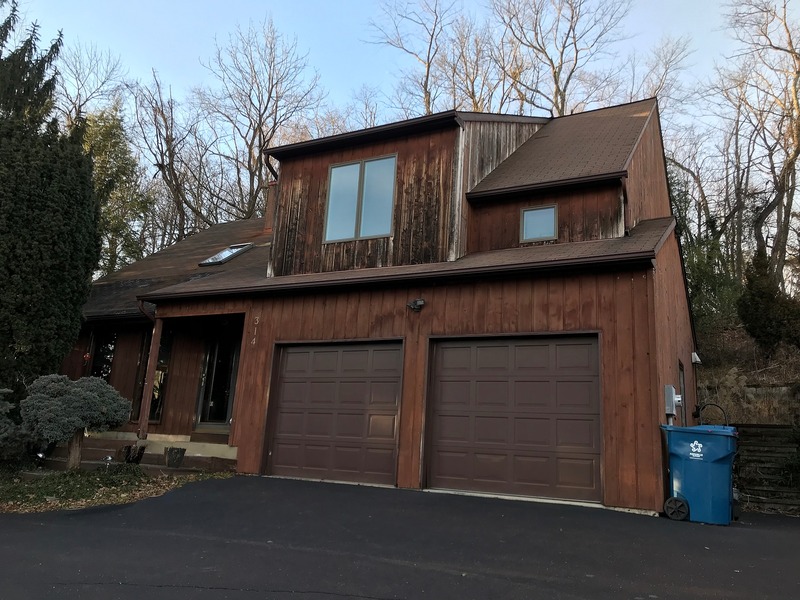 Upstairs, find 3 spacious bedrooms with optimal closet space, pull down attic for storage, full hall bath, and a master bedroom with en-suite bath, huge walk-in closets, and balcony that overlooks the quiet wooded backyard. Energy efficient heat/air conditioning system (System Kinetics 2000). The home includes Pergo, concrete, oversized 2-car garage, large lot. Contact us for more information today!